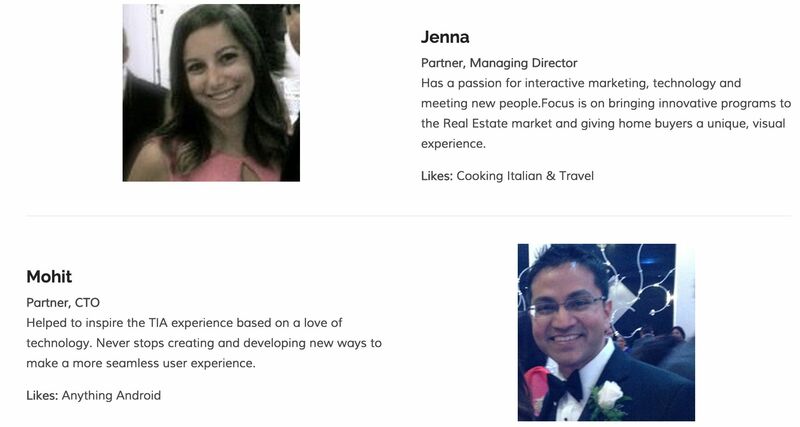 Jenna Siciliano is in the business of Millennials. As the younger generation enters the real estate market, residential developers are looking for new ways to cater to what Millennials want. “We’re so visual — we tweet our food, Instagram our Starbucks. But when it comes to buying a home or condo, all you see [as reference] is a blackline floorplan. It’s hard for twenty- and thirty-somethings to conceptualize what that space is going to look like,” said Siciliano. Along with her business partner, Mohit Sud, Siciliano launched The Interactive Abode in 2012. 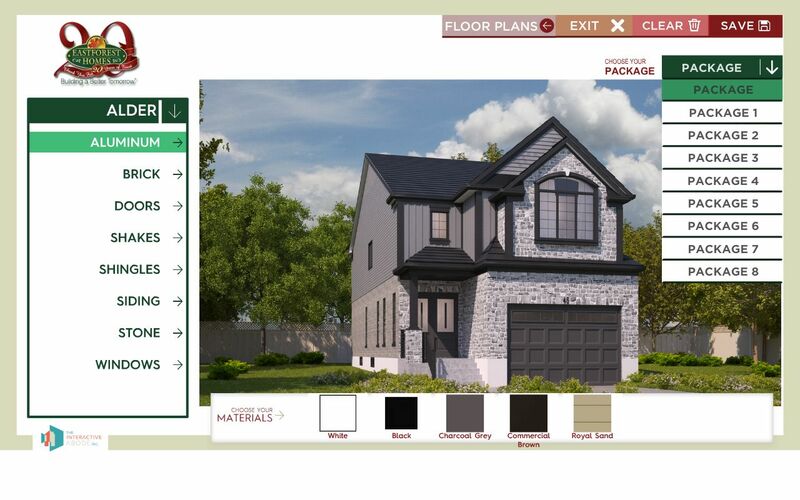 Their software products enable developers to allow potential buyers to tour, customize and decorate their new homes. “It’s very hard to sell a product you can’t see, and I think more and more builders are now realizing that,” said Siciliano. BuzzBuzzHome recently sat down with Ms. Siciliano to learn more about her company and how technology is changing the homebuying process. BuzzBuzzHome: What inspired the idea behind The Interactive Abode? Jenna Siciliano: About three years ago my mom was redoing her kitchen at the cottage and she had trouble visualizing what materials to choose, and she was like, “Isn’t there some program that will show me all of my options?” I thought, well if she has that problem other people probably do too. BBH: How long did it take to get your idea off the ground? JS: It only took about two or three months from development to selling the program to our first client, Monarch. I went in for a meeting with them to ask their opinion and to see if people might want to buy it and they said, “We love it, we want to buy it.” Within a week I had my first contract — it was the fastest turnaround I’ve ever had. JS: I went to Western, I got my degree in communications with a business background. My partner Mohit has his master’s in computer science. We were working together at another company, our bosses were entrepreneurs and we loved the atmosphere. The company was being sold so he and I started meeting — trying to come up with new ideas. Eventually, we thought of the idea behind The Interactive Abode. Mohit and I work well together, we’re a great team. We don’t step on each other’s toes and there’s a lot of freedom. BBH: What types of services do you currently offer? JS: Our most popular service is the Virtual Decorator — that’s what most clients purchase and we’ve kind of built our business from that. We do iPad applications, touchscreen applications, virtual tours, a bit of 3D rendering and now we’re getting into virtual reality. BBH: Any plans to expand your services? JS: Our goal is to find an interactive version we can share among people who can’t necessarily afford a $1,500 headset, like the Oculus Rift. Right now we’re building our program to work on an iPad. You can tilt it to walk around the house or use an XBox controller that’s connected to a computer monitor or touch screen. Our goal is to have the program up and running in sales centres in that format. Maybe sometime next year when the technology catches up, we’ll have the Oculus Rift — but for now we’re more focused on allowing people to explore using an iPad or with an app downloaded from the AppStore. We also have plans to create a version of the Virtual Decorator for the everyday consumer — a regular person who is looking to build or redesign their house. They can use the program themselves or use pre-set models, or even have their own custom rendering made. Someone like my mom, who wanted to decorate her cottage, could go on and play with different pre-set colour packages, go to a retailer and buy it. BBH: What are the benefits of using the program for a developer? JS: It helps drive sales, as people are able to better visualize the suite. Usually, at a sales centre they’ll give you a promo package or a sheet of paper with the floorplan on it, but eventually you just throw that away — you don’t get to share it. Everything created within The Interactive Abode is sharable online and you can take it with you anywhere. 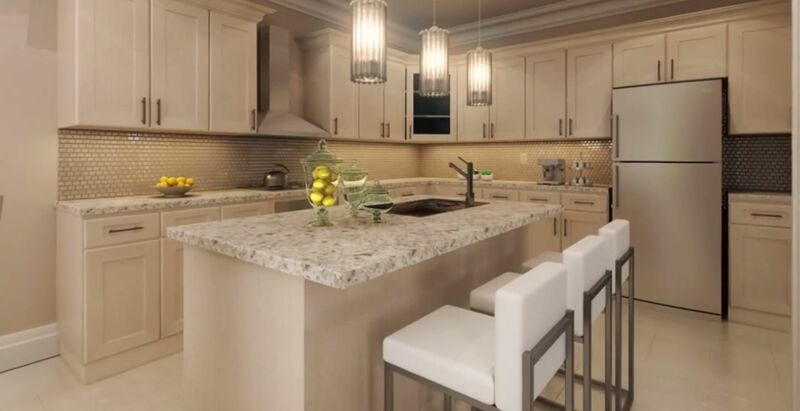 The program can also be used to sell upgrades, the purchaser can see how much nicer their countertops would look with granite, rather than laminate. Also, the designers who work in the decor centre can send the program to their clients before their appointments and they can play around with it at home, which will help to shorten the length of the appointments. Overall, it’s a nice way to be remembered and it enhances a builder’s reputation. BBH: What clients have you worked with? JS: We work with companies like Daniels, Monarch, Remington, Delpark, New Horizon. We’re also doing a Virtual Decorator for Toscana, which is a wedding venue by Easton’s Group of Hotels. Usually, when brides are selecting their venue they’re sent information via PDFs and Word documents. That experience is made better with the Virtual Decorator — you can customize the chairs, the colour of the tablecloths, the design of the menu, etc. It’s very helpful to brides and wedding planners to have that tool. BBH: As a tech company, what is the role of social media in your business? JS: Everything we do is sharable. We like to post a lot of videos of our projects — we can say, “Hey @Delpark, loved working with you. Here’s a project for everyone to see.” Not only is our product in their sales centre, but it’s online if they want that option. BBH: Do you see any other application of The Interactive Abode outside the realm of condo development? JS: We see our program being made available to anyone. For example, an interior designer who needs a 3D rendering done for their client with a few colour options. Or, a real estate agent who wants to sell their property using a touch screen application. But we are focusing mainly on developers. 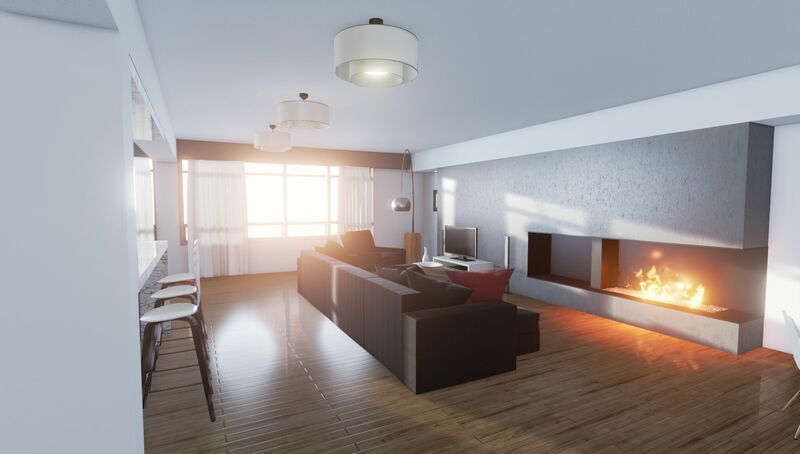 We’re also now reaching out to the supplier market, so businesses selling hardwood floors or cabinetry could use the Virtual Decorator to show off their products. BBH: In how many years from now do you believe every condo sales centre will have virtual reality technology? JS: I think virtual reality is going to hit the industry fast. We launched the Virtual Decorator not too long ago, and now we’ve already got about 10 or 15 clients who are using it or who are wanting to use it. I think the same thing will happen with virtual reality. Companies will probably start introducing it this year, especially when the Oculus Rift is available commercially. From there I think it will be only be two or three years until everyone has it in their sales centre. BBH: Eventually, do you believe condo developers will forego building model suites if they have this technology? JS: I don’t think sales centres will ever forego a decor centre because of the option to use virtual reality. However, we can build a virtual model home where the prospective buyer can walk around it, walk upstairs and see the whole house. Ours costs significantly less than building a model suite or model home. For the same price, you can build about three or four virtual model homes — it really just depends on your budget. I think the decor centres will remain, but in a few years developers won’t even have sales centres anymore. Everything will be online and with the click of a mouse you’ll be able to buy a condo. BBH: Where do you see the company headed in five years? JS: I see us being one of the leaders in the industry for the Virtual Decorator. And now applying it to virtual reality, I think we’re set to become a leader in that as well. I hope that our new consumer launch will be just as popular and people who use design sites like Houzz will be able to use our software as well to decorate their homes.